State-of-the art stump grinding services to smooth out your landscaping. Unsightly tree trunks can disrupt your landscaping. However, stump grinding services can level things out again. Georgia is home to extremely large, deeply rooted oak trees and pine trees. These southern beauties can cause major problems to home owners. Roots can crush pipes in the yard which disrupts the plumbing and dead tree stumps can become a haven for unwanted pests such as carpenter ants and termites. Nope…you don’t want that in your life. 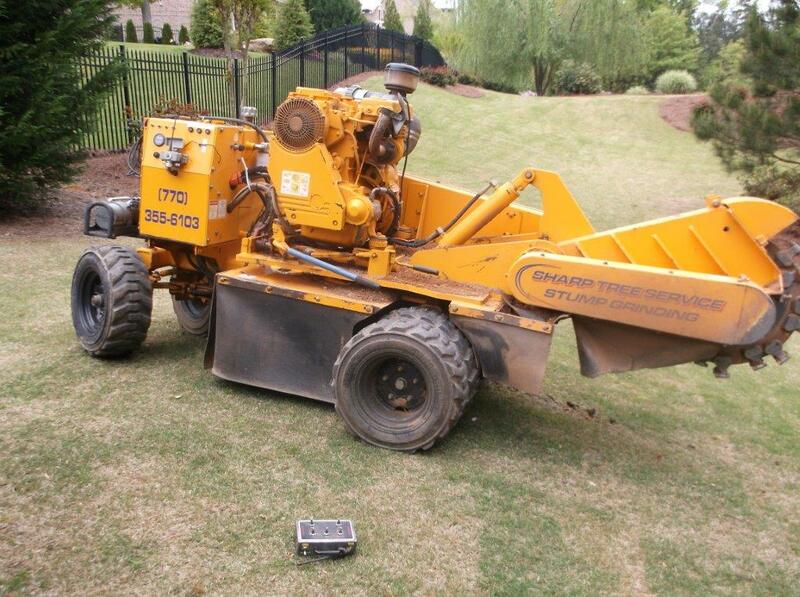 Sharp Tree Service offers stump grinding services throughout North Metro Atlanta. What we do will amaze you. 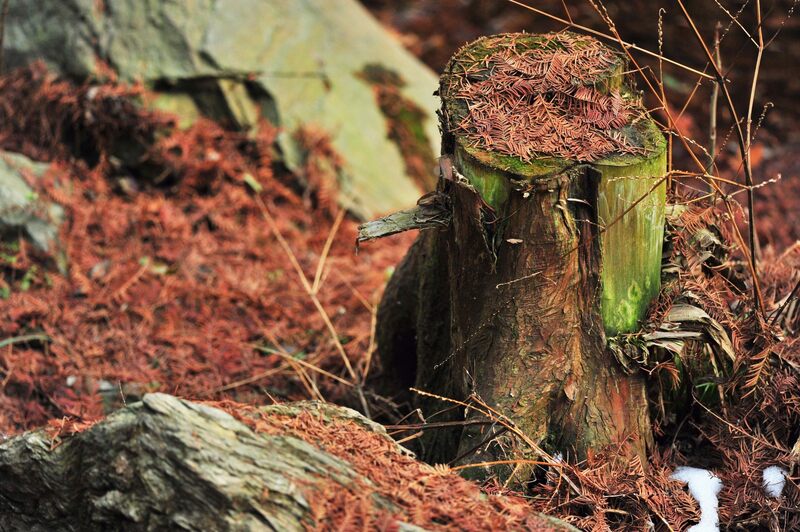 Sometimes stump grinding services can leave home owners feeling a little jaded. How so you ask? Well it comes down to the machinery. Some tree stumps are extremely hard to remove, leaving some remnants of the stump and roots in the ground. Of course this defeats the purpose because the remains can still cause issues to you home and landscaping. Sharp Tree Service has cool equipment that will grind any stump into oblivion. Our stump grinder is compact and can fit through any size gate which is more convenient and less disruptive to your property. You don’t have to take the gate doors off the hinges because our stump grinder has folding components making it easy to transport. It is also remote controlled and drivable. Our experienced technicians handle stump grinding services like driving a car. They simply locate the designated stump, drive the stump grinder on top of it and the machine does all the work, removing not only the stump but the roots also. It’s a fast, clean job every time. If you have a tree close to your home, we can get grind it too. Our stump grinder is designed to get as close as possible to any tree stump for removal. Sharp Tree Service has tree stump removal down to a science! Bet you’re eager to call Sharp Tree Service now. This whole time you were reading about stump grinding services and thinking about the backyard oasis you can have if there were no stumps in the way. Before you give us a call, you should know what’s below your ground. 811 is a local service that locates all utility lines in your yard and around your home. They can mark all lines below the surface so Sharp Tree Service will know where not to work. This helpful service can help us avoid any dangerous power lines. It’s FREE and 811 will come out to your residence within 24 hours of calling. Now how’s that for smart digging. Summer is almost upon, and your home could become party central with the right landscaping. Get rid of those tree stumps or cluttering trees so your backyard barbeque can be fun and safe. Call Sharp Tree Service for a FREE Estimate on stump grinding services and tree removal.